Social media has brought our obsession with pictojournaling food to the forefront of our consciousness. What is this desire to transform our social media feeds into stories of repasts past? Why is it so common? 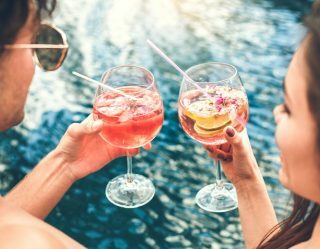 How does the sense of sight play into our appetites, stimulating our sense of taste, smell, and touch for every single morsel and mouthwatering bite? 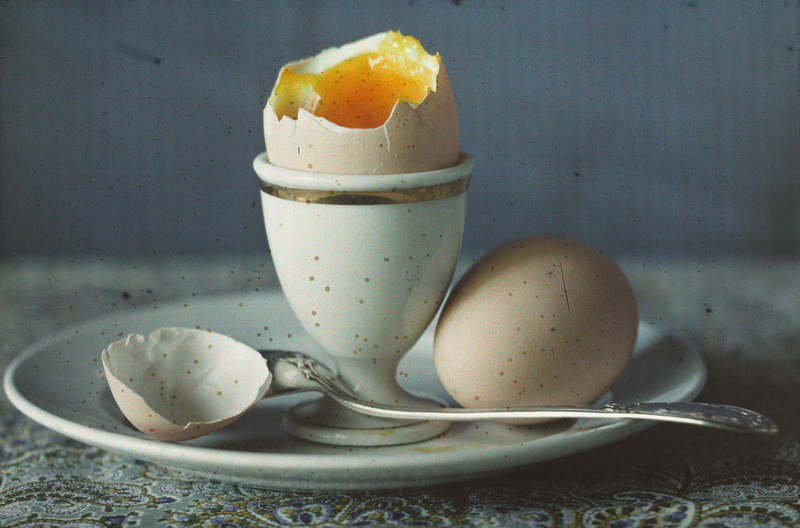 Why do we want to preserve our food as photographic memories? 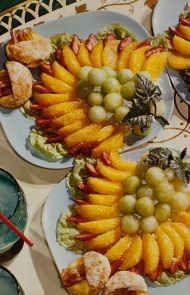 In Feast for the Eyes (Aperture), Susan Bright explores the history of food photography in its many forms, be it fine art or commercial scientific or photojournalism. Featuring more than 250 photos made from the first days of photography to the present, Feast for the Eyes begins with A Fruit Piece (1845) by pioneer William Henry Fox Talbot. Here we see the formal tradition of still life common in Western art translated arranged in a similar way, but as with the nature of the photograph the symbolic meaning is secondary. 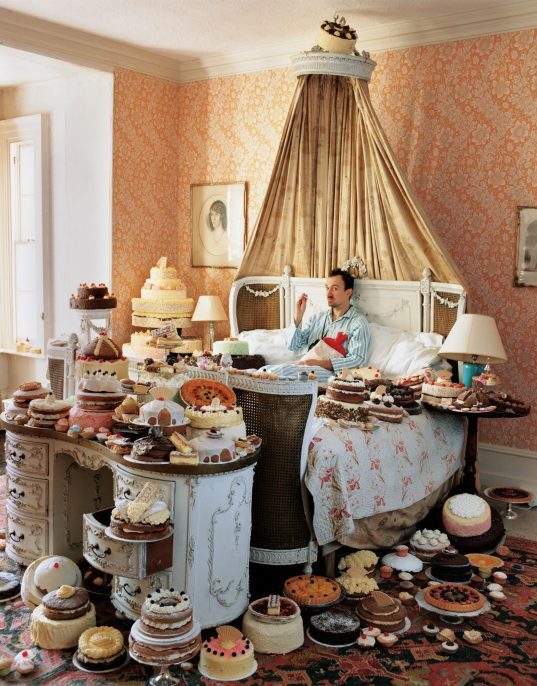 Tim Walker, Self-Portrait with Eighty Cakes, 2008; from Feast for the Eyes (Aperture, 2017). © Tim Walker. First and foremost, the photograph is a document of what actually exists, which can be reproduced infinitely and distributed far wider than a painting ever could. In this way, the photograph no longer requires a formal context to exist: it can enter your space and exist on your terms, creating a sense of immediacy that painting resists. As the book progresses, we are introduced to The Book of Bread and The book of Cakes, both from 1903, neither of which aspire to fine art. Instead they embrace the ability to depict food as an object of commerce, providing high quality images that illustrate the subject at hand. 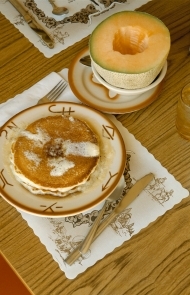 Contrast this with the work of Charles Jones made at the same time, which are remarkably modern portraits of food as an object worthy of study and veneration. It becomes clear than at the turn of the twentieth century, photography had begun to seek its own level, depending on the needs and requirements. Organized by decade, Feast for the Eyes takes us into a wide array of realms, from the fine art works of Edward Steichen, Man Ray, and Edward Weston to government propaganda made by the Farm Security Administration during World War II to early cook booklets and commercial images made by Nickolas Murray just after the war. 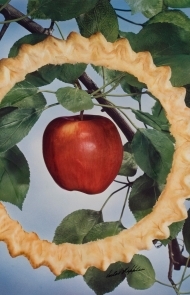 It is here that we see the iconography that would capture the American imagination and take hold: the do-it-yourself fantasies of food as bourgeois pleasure. 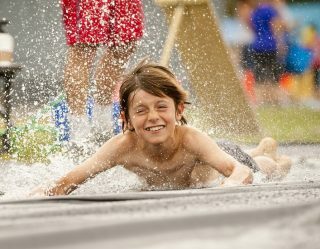 These images, which appeared in magazines, became markers of status and success, giving people a vision of what to aspire to and a guide for how to live. They introduced certain ideas that have become embedded in the nation’s perception of itself: of taste and class, of health and wealth, of “the good old days” that never were. 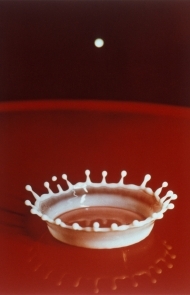 Harold Edgerton, Milk Drop Coronet, 1957; from Feast for the Eyes (Aperture, 2017). © 2010 MIT, Courtesy MIT Museum. At the same time, artists continued to push the boundaries beyond the know. 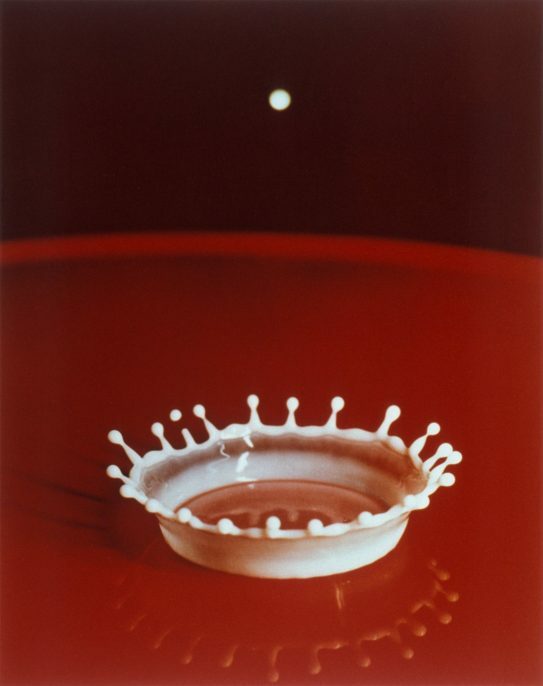 Enter Harold Edgerton, who used a stroboscope to create stop-motion photographs during the 1950s and ‘60s , showing us the moment a bullet ran through an apple or a banana. Or consider the early works of Ed Ruscha, who, in 1961 photographed a can of Spam in black and white, rendering it something that is as far from the real thing as the product itself. As photography progresses, we see how it evolves, how individuals use food as a subject of consideration for a wide array of purposes. 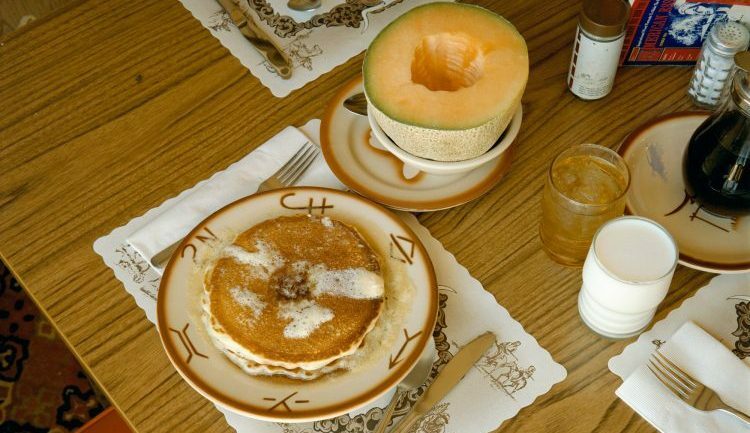 Stephen Shore’s portraits of meals served in restaurants during a cross-country trip are harbingers of the images that would be clogging our Instagram feeds—albeit they are incredible dated. Helmut Newton makes food deeply uncomfortable as he restores the living vitality to dead meat in fashion photographs made for Vogue France in 1974. Irving Penn shows us what happens when beauty and food collide, revealing the way the sight of a sumptuous bit of food triggers a healthy appetite. With every chapter, Feast for the Eyes shows how powerful the subject of food truly is: how much it is a vital requirement of life, and how that insatiable desire to consume can never be quenched. There is always something new, something more, something powerful in the subject of food that begs us to explore. Whether fine or commercial artists, the subject of food offers a limitless bounty ripe and ready for the eye, for Vik Muniz’s Double Mona Lisa, After Warhol, (Peanut Butter + Jelly), made in 1999, reminds us of the power of imagination and a willingness to take risks, a desire to see the world in a new way that is both familiar and foreign, simple and complex. So the next time you want to photograph your meal, remember you are inheriting a long tradition that respects the desire to play with your food and share it with the world.